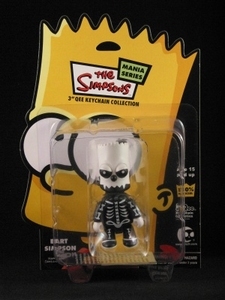 Bart Simpson 3 inch Qee Halloween: Bart Bone Skeleton Mask. 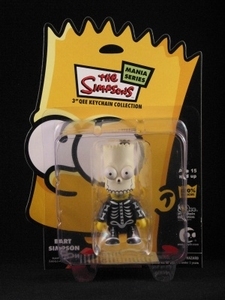 Bart Simpson 3 inch Qee Halloween: Bart Bone Skeleton Toyer 1. 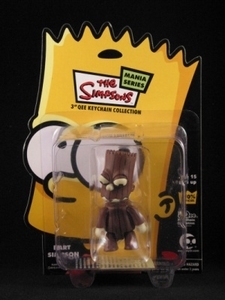 Bart Simpson 3 inch Qee Halloween: Treeman Bart Brown. Bart Simpson 3 inch Qee Halloween: Treeman Bart Green. 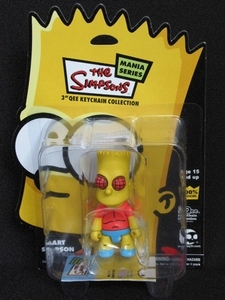 Bart Simpson Qee: Bart Fly. 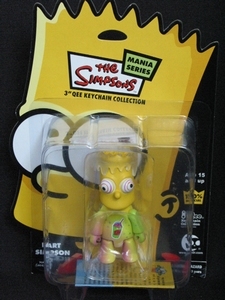 Bart Simpson Qee: Squishee Bart (variant). 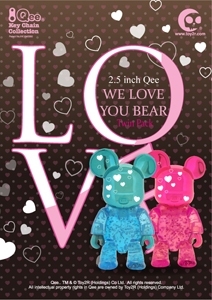 2.5 inch Qee - We Love You Bear set.